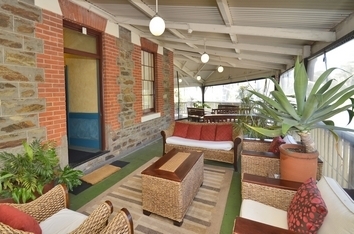 Adelaide City Park is a boutique style motel, that offers a serene atmosphere at an affordable price- it is the tranquil retreat close to the heart of Adelaide you have been looking for. City Park features attractive, spacious rooms, and is set overlooking the southern parklands via our magnificent balcony. The hotel is walking distance from the Adelaide CBD, which includes major shopping venues, family attractions, sporting venues and much more. Whether for business or pleasure, you will find yourself at ease in the peaceful and enjoyable setting of our motel. QS bed in larger room with space and grace. adjacent main balcony overlooking Parklands. TV, DVD, Fridge, Microwave, Tea & Coffee, Air Conditioning and en suite bathroom.All rooms are strictly Non Smoking.Rate is for 2 guests, maximum of 3 guests can be accommodated (extra charges apply). 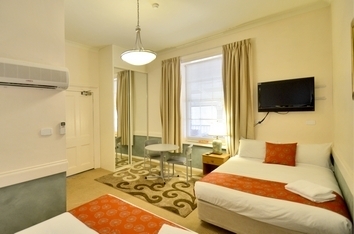 Classic Room with QS double bed, TV, DVD, Fridge, Microwave, Tea & Coffee, Air Conditioning, en suite bathroom and (subject to availability) private balcony overlooking parklands. All rooms are strictly Non Smoking. Rate is for 2 guests, maximum of 4 guests can be accommodated (extra charges apply). Family Room with QS double bed and 2 sets of bunks. TV, DVD, Fridge, Microwave, Tea & Coffee, Air Conditioning, Dining suite. en suite bathroom. Parking by arrangement. All rooms are strictly NON SMOKING. Rate is for 2 guests, maximum of 6 guests can be accommodated (extra charges apply). Larger Room with Private Balcony. QS bed, TV, DVD, Fridge, Microwave, Tea & Coffee, Air Conditioner, en suite bathroom, LARGE PRIVATE BALCONY. All rooms are Strictly Non Smoking. Rate is for 2 guests, maximum of 2 guests. 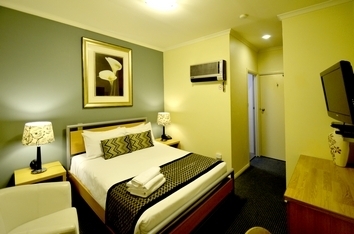 Fax and Wireless Broadband availbale on-site at Adelaide City Park Motel- free of charge. After 2pm unless arranged otherwise. If arrival is after 6pm, prior arrangements need to be made with management for after hours access. Ph 08 8223 1444. Check-out is by 10am. Later check-out may be arranged with reception upon arrival to the Motel. Children up to 3 are accommodated at no additional cost. Children from 3 - 15 are regarded as additional persons and are charged accordingly. Car parking is available only with prior arrangements through the Motel. 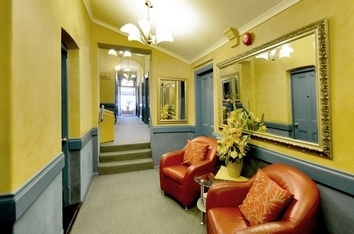 Approximately a fifteen minute drive from the airport, Adelaide City Park Motel is located upstairs on the corner of Pulteney Street and South Terrace, in the city business district. The airport offers taxi services, or alternatively, there is a shuttle bus that takes you to the Chifley Hotel on South Terrace, directly next to our hotel. It is located only five minutes from the Keswick Interstate Railway Station, the Adelaide Railway Station, and the Franklin St Central Bus Station. We also offer tour arrangements from our service desk - from car hire to ballooning, wineries to whale watching. Any request, just ask!